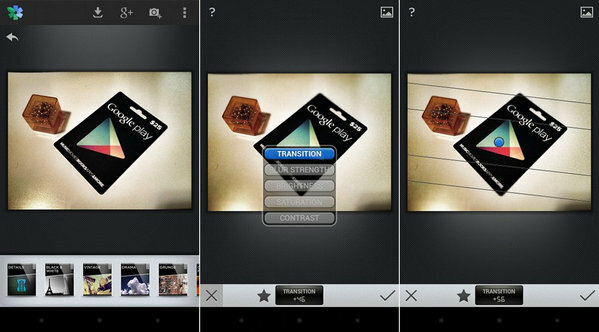 There are literally hundreds of Android apps for photo editing on the Google Play Store as of today. To choose the right one is to wade through a murky mess of the good, the bad and the ugly. Descriptions often don't help, and neither do screenshots because they don't give you the feel of the app itself. The best way, then, is to go by user reviews. So we've sifted through dozens of well-appreciated apps to find you 2018's 3 best Google Play Photo Editor apps for Android. This selfie specialist is great for those who love taking pictures of themselves. 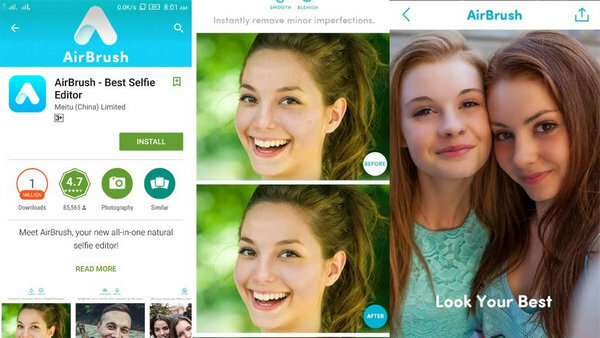 The app specifically covers quick fixes for teeth, skin, eye and other blemishes that are often exaggerated in selfie photos. It's no wonder that more than half a million users around the world have given this a collective 4.8 out of 5.0 on Google Play. Free Download! The downside is that the app uses a lot of storage space, and it does require some serious processing power to do its magic. If you've got a low or mid-range smartphone, this is probably not the app for you. But if you've got a phone with at least 3GB RAM and 32GB or more of internal memory - and you move a lot of your media into your microSD card - it'll work like butter. The highlight of this app is to make people look more photogenic and the photos more share-worthy. After all, what's a selfie if you can't share it with everyone you know and the bus driver whose name you didn't quite catch the last 20 times you asked. This is Google's own product so don't be surprised if you see Editor's Choice next to it. Natch! We were a little hesitant about the app the way it looks now because the new design and the filters having moved to the front row. A lot of users are now saying they loved the old design better, but if you're using SnapSeed for the first time, you'll immediately notice how fast it tunes photos - in literally fractions of a second. Free Download! This is more of a pro app even though it's free. You'll be able to create some stunning near-DSLR-level photos if you have a really good camera system on your Android device. We recommend it for its versatility and professional approach to photo editing, but we reserve the right to criticize the new look! This one's a long-time favorite. As many filters as it has, the best part is the convenience of doing a touch up because it's literally a one-tap action for most of the popular edit types. As photo editors go, this one's right up there with the best. With over 100 filters and the developers constantly thinking of new ways of enhancing your precious moments, we highly recommend this. Free Download! The downside is the in-app expenses you can incur for some of the more pro-level tools. And once you're on a paid subscription there's also an auto-renewal feature that some users have complained about. You can get off a subscription but you apparently have to go through a couple of hoops to get there. But if you're a photo sharing maniac then you won't mind the extra dollars that go into creating works of art from just-about-average photos. We'd like to leave you with something to think about. One of the reasons it's so hard to find what you're looking for in a photo editor for Android is that users don't really know what they want. It helps a lot if you even broadly figure out what you expect the photo editor to do for you. Do you take more selfies than other types of photos? Or panorama shots? Do you prefer portraits after your first experience on an iPhone 7 Plus? Answering these questions will help you zero in on the right Android photo editor for your style of photography. At times, all you need is a solid free app like SnapSeed. But many times something like Fotor or AirBrush can get the job done in a matter of seconds. This isn't something that most review articles talk about, but it's important for you to identify the need before you head for the Google Play Store and start downloading a bunch of stuff that you don't really need and are just going to slow down your device by running background processes all the time. Figure that out first, and then start looking for the app that addresses the needs you've identified.